An advanced software, Stellar Phoenix Windows Data Recovery - Professional seamlessly recovers all your lost Windows data. Its user-friendly interface enables you to easily recover all of your lost or deleted data - files, documents, emails, photos, databases, etc. - from your hard disk and external drives connected to your system. Devised to recover lost or deleted files, documents, emails, audios, videos, photos, etc. 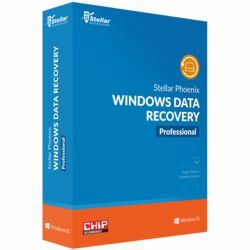 from your Windows machine, Stellar Phoenix Windows Data Recovery – Professional has much to offer users trying to recover lost data from their failed hard disk or other external media devices. It can also recover lost partitions and their stored data. From the ‘Select What to Recover’ screen of the tool’s interface, it offers you to select all data at once by clicking the Everything checkbox. It also allows you to select the data you wish to recover by choosing the Documents, Folders, and Emails, and Multimedia Files option. With Everything selected, you can retrieve all existing or deleted files, folders, documents, and other useful data. With Documents, Folders and Emails option having three checkboxes, namely, Office Documents, Folders, and Emails, you can recover lost or deleted documents, folders and their content, and mail items. When you select Multimedia Files, you can recover your lost photos, audios, and videos. Next, the software also allows you to select any location to recover data from the Select Location screen of its interface. The Select Location offers you three options to select the location of the data files and that are Common Location, Connected Drives, and Other Locations. The Other Locations provides you Can’t Find Drive and Recover from Disk Images option. The former is to recover lost partition and the latter to create an image or recover from an existing image file. Further, the utility provides two advanced scan engines, Quick Scan and Deep Scan that can perform faster, effective, and efficient scanning of the selected locations and recover data. Deep Scan is for searching lost partition and recovering data in case of severe damage to the media. Moreover, it offers you the option to switch from Quick Scan to Deep Scan in a single click. Lastly, its preview feature enables you to view your recoverable files before saving your data. Recovers all kind of files, folders, documents, emails etc.